These days, mental health has become a very pressing issue. Most of the people do not realize it, but they surely suffer from some or the other kinds of mental ailments. If we start counting some of the grave mental issues, there are Depression, Anxiety, Mood Swings, OCD, and what not! And that is why, self care for mental health has become important now. Here we will share with you some of the most important and easy self care tips, which you can easily carry out in your daily life. Let’s first start with the basics of self care. 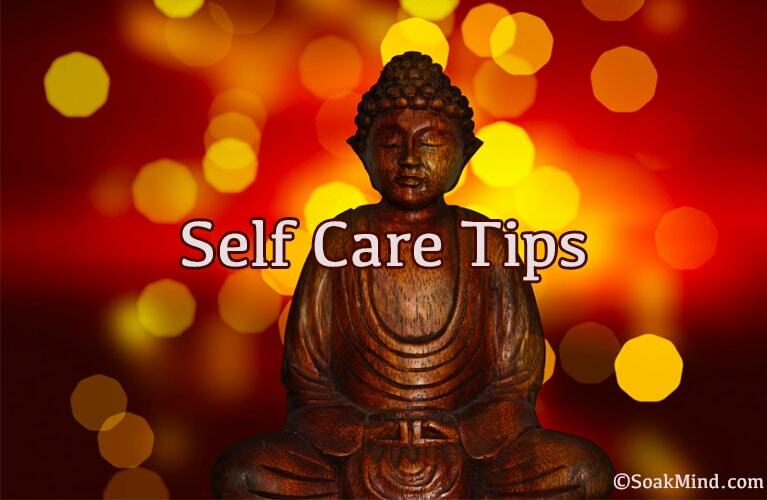 Making you familiar with what is self care, we will move on to some self care tips. And then we will discuss how you can take self care for mental health. What do you reply when someone asks you, “Do you take care of yourself?” Most of us answer with a yes. But do we really do that? If not, then what is self care and how do we do that? Any activity that we do consciously to take care of our physical, mental and emotional health, counts under self care. By reading this, you might wonder this is so simple. But often we neglect all of it. When you will actually start taking care of your self, you will start noticing a considerable change in your mood and anxiety levels. Not only that, majority of your mental ailments will start getting disappeared once you start taking care. But does this mean overlooking everything else? Most people might think that self care means worrying about your own emotions and overlooking everyone else. But that is definitely not right. Self care comes when you take care of your own self along with everyone around you. 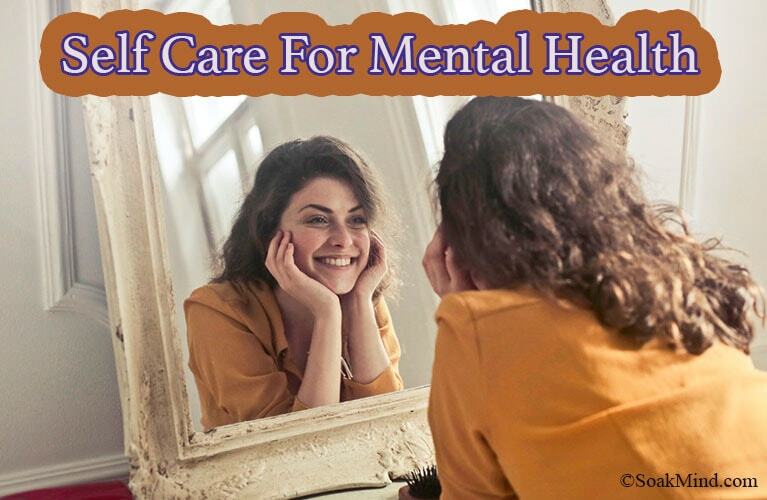 Now, we will have a look at how you can take self care for mental health. There is so much that counts under this which most of the people often ignore. Mental troubles are the most ignored troubles in a person’s life. And this is mostly the cause of deaths – suicides and heart strokes. So how can you take care of that? One of the best tips to take care of mental health is to visit a psychiatrist. BUT, this is often regarded as a very negative step. People believe that a person is mental if he needs help of a psychiatrist. No, you are not mental or something. Going to a psychiatrist will heal you from within. And that is what most of the people fail to understand – psychiatrist is the one who treats mental illnesses. And anxiety, depression, ocd, etc. all fall under this category. But even if you feel that your image will get spoiled, you can take secret meetings with the doctor. They are highly professionals not to leak your information to anybody else. Besides this, there are some tips of self care for mental health as well, which does not involve any outside practitioner. For all the mental illnesses, all a person needs is special attention, and someone to hear you out. If none of the outsiders feel eligible to you, why not take care by your own? When we talk about self care for mental health, there are broadly 5 categories that come under this. Physical – anything that you do to pamper yourself. For eg. movie, spa, exercise, healthy meal, etc. Emotional – feel your emotions unhindered. For eg. laughing, crying, self praising, spending time with your loved ones, etc. Professional – Balancing professional and personal life (school, college or work). For eg. chat with coworkers, take breaks and grab meals, decorate your workplace, balance workload, etc. Psychological – give peace to your mind. For eg. say no to extra responsibility, divulge in a hobby, be curious, self reflect, etc. Spiritual – get in touch with your inner spirit. For eg. contribute to environment, meditate, spend time in nature, etc. Some small actions can do a lot of wonders in your life. They will help you fight the struggles you face in your day to day routine. All the below tips that we will share with you, are counted amongst the best tips of self care for mental health. So let’s move forward and check out some self care tips that can be carried out easily by you. Here we will share some tips that are easy for every kind of person. No matter you are a working man or a woman, housewife, a child, or an adult. These self care tips are common and easy for all. Don’t take it on your ego, which most of us do. If you need help in any hemisphere of your life, don’t feel shy from asking. This way, not only your work would become easy, you might build some healthy relationship with people as well. Moreover, your anxiety and tensions reduce drastically. Don’t overload yourself with work, whether at home or at office place. After every 1 hour, take a break of minimum 5 minutes and take a small stroll. Continuous sedentary lifestyle also hampers our mental health. And hence, taking a break can be counted as one of the best tips of self care for mental health. Along with that, don’t forget to take meal after every few hours. Keeping yourself away from hunger also helps alleviate mental disorders. Food nourishes your body, keeping your mind healthy and sound. Remember, healthy food is counted here, not the junk! This is the most common and often spoken aloud rule among all the self care tips. Mediation can do wonders which none other activity can. If you are unable to do this, start by just 5 minutes in the morning. By meditation, you will be able to start listening to yourself, which most of us cannot do in our hectic lives. This step makes you closer to your real self and calms you a lot. Dogs are often called the stress busters for a reason. Nothing can lift up your mood than coming back home to a waiting dog. Although a lot of responsibilities gets increased by having a dog, but you can always hire someone or ask your family member to take care of your dog in your absence. Of course, if you are allergic to dogs or don’t like them for some reason, you can keep any other pet if you want. All pets are loving and will make you feel loved. Take out some time for exercises. Go to a walk, or gym, or simply do exercises and yoga at home. These are the best tips of self care for mental health. Morning exercise is always a much preferred option due to clean oxygen and calmness around. But exercise is still an exercise no matter when you do. This regulates blood flow in your body, and makes your mind healthy. Yes, you definitely need to drink water, keeping aside all the excuses. Body often gets dehydrated after every few minutes. And this can be a cause to several ailments like headache, weight gain, increased blood pressure, fatigue, etc. So it becomes essential to keep hydrating it with as much water as possible. One of the important self care tips, this is a perfect solution to most of your mental and physical ailments. This is a habit of most of us. Even me! No matter how much we listen people not to overthink, we cannot stop ourselves from doing that. But I am sure you all know how bad this action can be. Overthinking can cause us severe headache, doubts on ourself, and even a lot of anxiety. So how can you actually curb this? Whatever action makes you overthink, accept it with all your heart and move on. It might be the case that you are worried about how any action will impact you. So let the future hold the answer to this, since your thinking won’t stop the step from taking place. Moreover, if it helps, seek help of somebody and share your thoughts with your close person. Or, you can even write them down in a diary. Sharing often helps in such cases. So whether a diary or a person, you will feel better. Fighting will never solve problems and issues. Trust me, this is a tried method. When you feel like shouting on somebody, just close your fists and keep your mouth shut. Speak what you want to in your mind. And in your mind itself, you can have a detailed conversation based on your responses. In the end you will find yourself messed up when you realize where your one word would have taken you to. And now, keeping shut has solved all that stress. Even though you didn’t like a certain thing, you can speak regarding that in a more calm way after you yourself have calmed down. Take out time for your friends. No matter how busy you are, friends will always prove to be your stress busters. This is really one of the best self care tips which you will yourself enjoy a lot. 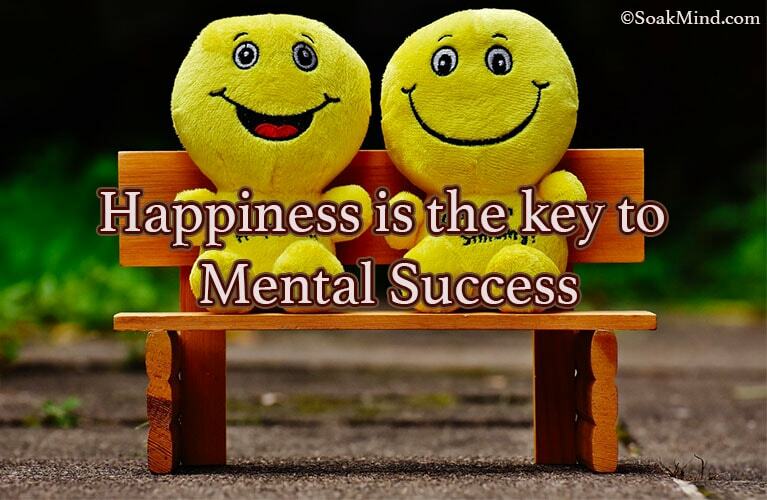 Having some happy and laughing moments will release a lot of stress from your mind. Every person is different, and that is what makes them unique. If you want to be like others, you will lose your individuality and your happiness. You have no idea what the other person has been through to make his/her own identity. And so, it is your time now to carve a different path and outshine every other person. Stop comparing yourself with someone whose journey you have no idea about. You are not him, even if others expect you to be like him. Being your own self will bring you a lot of happiness and enthusiasm which you have forever craved for. And this is what makes it one of the important tips of self care for mental health. Take actions that scare you off. You might find an excuse every time, not to do the thing you fear. But one leap of faith will push you past all of that and also eliminate that fear from your mind. And I am sure you all know how a single fear can cause you severe mental ailments. This is an era of veganism. More and more people and celebrities are going vegan every single day. And the reasons are pretty simple – animals are not to be worn or eaten. They have a life, just like you. Moreover, eating things from earth rather than factories is also beneficial for your body and arteries. This will keep you physically healthy. And knowing that you are saving animals, will keep you mentally sound. Forgiveness is the best friend. Forgive yourself, and forgive others for every hurt you go through. This will reduce a lot of burden from your mind. When you will stop hating others, you will start staying healthy. Truly, forgiveness is the key to success. Social Media has become a very important part of every person’s life. This has also led many to live in a virtual reality, trying to impress those who don’t even matter. People do a lot of things just to make themselves popular on social media. But does this platform really help when you want to be happy and live your life? Socialize outside of this social media, and learn what living life is. This is one of the most important self care tips that will teach you the real meaning of life. Go out with your friends and family, and play games which do not involve any electronics. This is the real happiness. At the end, you don’t have to pretend to be someone else to impress them. All you need to do is be yourself. And then, watch the happiness come to you soon. This ends our list of various popular and important self care tips. These are definitely not all, but are some of the very important ones. They might be a lot for you, but start implementing them one by one. You will notice a considerable change in your lifestyle very soon.